League Results New Leagues Club Champs Want to Join? Congratulations to Bill Green who is our Male Player of the Year 2018. Congratulations to Alison Weaver who is our Female Player of the Year 2018. Please agree a walkover with your opponent. If you cannot get a response by e-mail please phone them. If you are still struggling to get the game arrange please let Darren Vass know ASAP (Preferably in the first month) to get the walkover awarded. Player of the Month will be awarded on merit and games played. 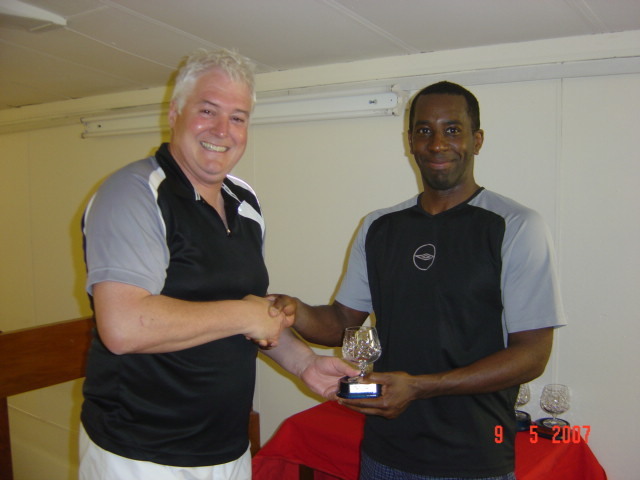 Player of the Month is only available in the squash leagues. Player of the Month cannot be achieved by claiming walkovers. Player of the Month is not eligible to win in consecutive months. Also if you do not play any league games within four months, you will be removed from the leagues. If you are injured, or have a reason you can't play for an extended amount of time, let me know by e-mail (). 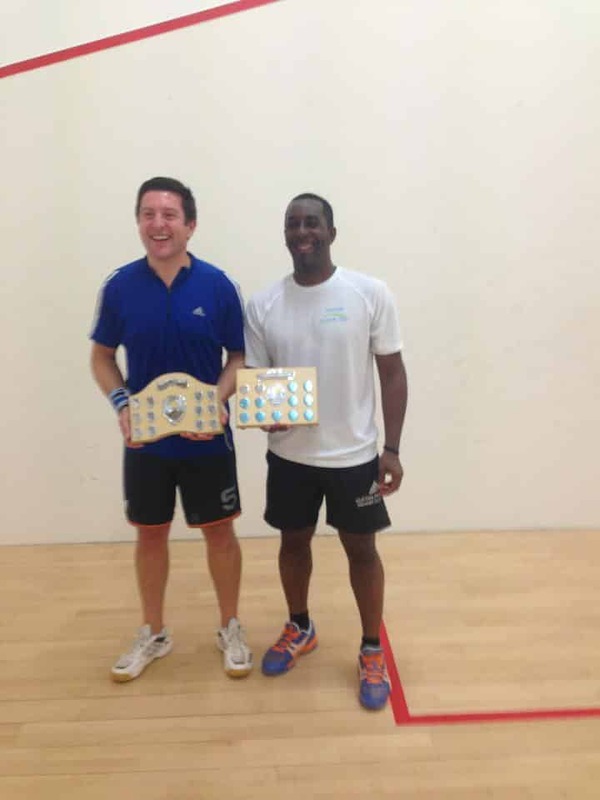 Once you have signed up to the leagues your personal details are used for the purpose of running the squash leagues. Your email address and telephone number is used for communication purposes by myself and the other players in the leagues. In addition, your telephone numbers and email addresses are on the squash leagues notice board inside Trent Vale Squash Club. If you are unhappy with the way your data is being stored and used then please contact me to discuss your options (). The current league will run through March/April. Good luck. A match is played using the SRA rules of the best of 5 games and the first to 9 points with points being won on the player's serve. Should a game reach 8-8 then the non serving player decides on "first to 9" or "first to 10". It is not always possible to complete a match in a 40 minute session, so the players must agree whether to keep the score after 40 minutes or carry on or replay the match. When a game has deemed to have concluded, the score is entered onto the scoring grid on the wall in the squash building. Points are allocated depending upon the score of the game thus; Players only need enter the Game score on the league chart. Agree a walkover where possible with your opponent. If you are still struggling to get the game arranged let know ASAP (Preferably in the first month) to get the walkover awarded. Players will be moved up a division, sideways or down a division depending upon the points cumulated. All games played during the first month of the league session gain an extra 2 points. The player who scores the most points in a league session gets two free tokens, or two free balls or one of each and is proclaimed Player of the month. All players who play all their league games in a league session are put into a hat and the name drawn out gets two free tokens, or two free balls or one of each. At the end of the year, the player with most points accumulated from the 6 league sessions of that year gets free membership for the next year and is proclaimed Player of the Year. and runners up, Sandra Albinson and Jackie Welburn. And Thank You to Nicola Grundy and Louise O'Reilly for the excellend organisation of the championships. 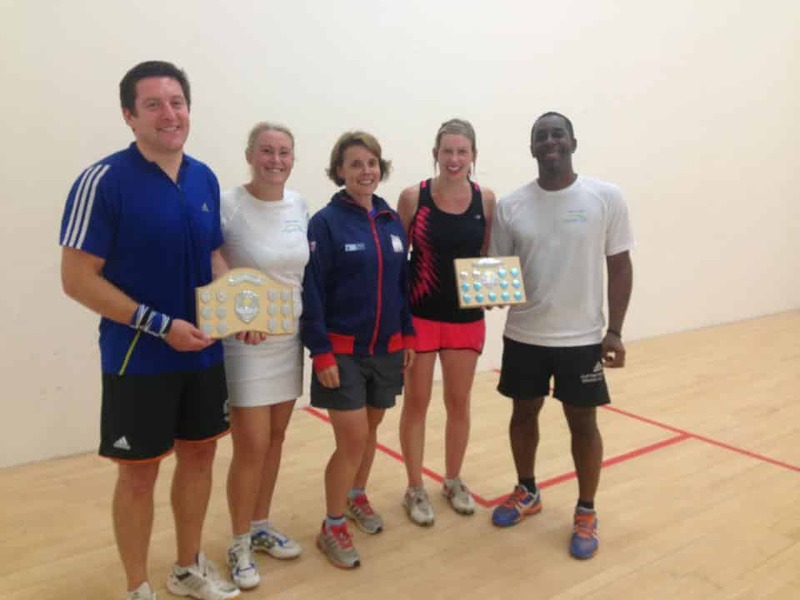 It was a closely contested finals night with the Cup final between Paul Bowness and Sandra Albinson. Paul had previously beaten Audrey Cooper 2-1 in the semi finals, before his 2-0 victory over Sandra in a closely matched contest. And what can we say about Fitz Haye in the Plate final. We tried our best to handicap him (yes the wooden racquet) and a mean handicap (-21) but he still prevailed in a tight game against the southpaw Jackie Welburn. It went down to the final game and a close finish, but it was not to be Jackie's year! Thanks all for entering the competition and making it so successful. Hopefully same against next year! Interested in joining the Leagues? If you'd like to join the league, let us know and we'll add your name for the next session. If we get enough people wanting to join, we may add another league to this session. Whatever your standard TVSC would be glad to see you taking part in our internal leagues. This is a good way to play against different players, develop your squash and win squash tokens. If you know anyone else who might like to enter the new league, please let them know and suggest to them that they join the squash club. To enter the leagues, please contact Darren Vass, a committee member or fill in the form below. How good do you think you are? 5 = Am I holding the right end of the racket? 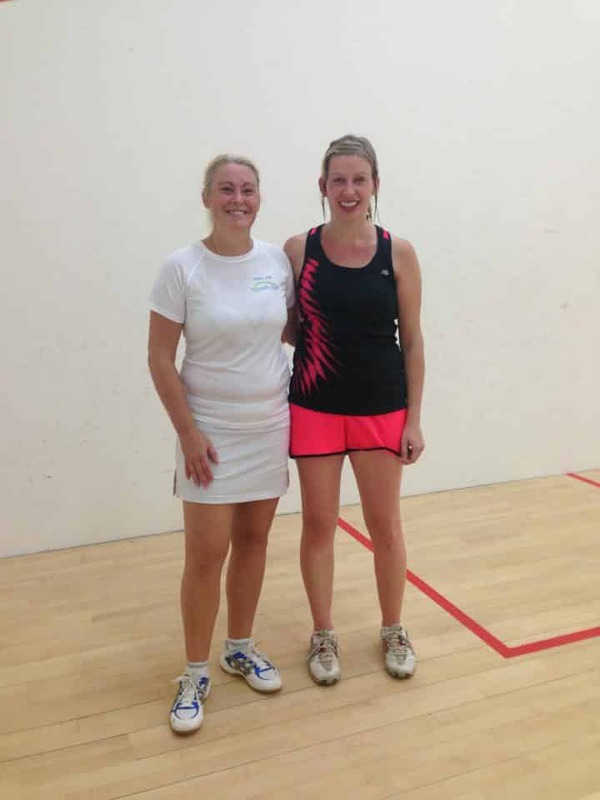 Are you already a member of the Trent Vale Squash Club?